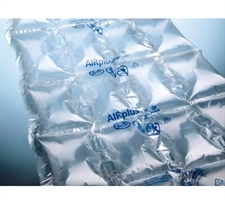 Get a box of pre inflated air pillows from MS packaging that are completely biodegradable and occupies gaps in packaging. These are perfect for protecting fragile item by keeping it in a place as the vacuum is covered by these inflated air pillows. Get the best packaging experience with these bags that help in making the packaging fuss more hassle free. These are available in various sizes and quantity that is apt as per your requirement.